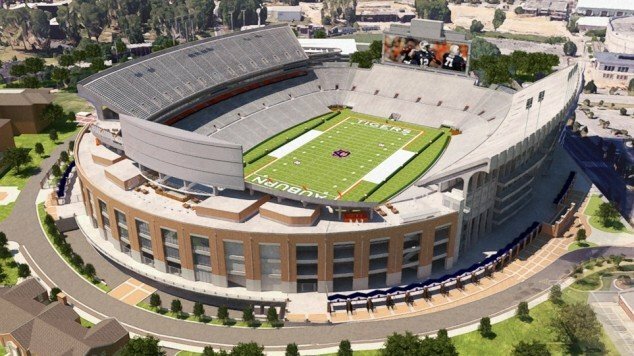 Back in June, it was reported that Auburn had planned on beginning renovations in Jordan-Hare Stadium’s North end zone as soon as December 2015. That would be now. But the report also stated that Jay Jacobs was not happy with the designs and ideas he was proposed, leading him to put the plans on hold. 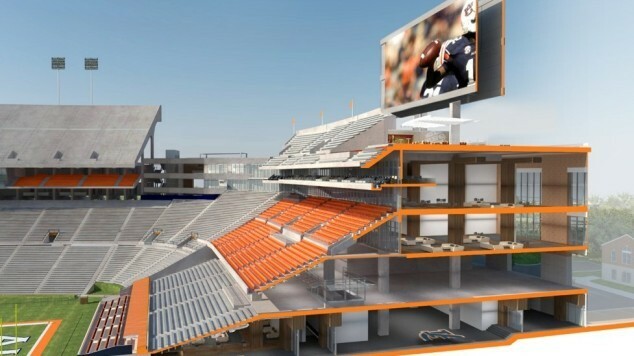 Now it seems some new plans are in the works because as of today, season ticket holders were sent a survey with multiple renderings of a new North end zone ripe with suites, an upper deck, another huge video board (even though this one was cooler), and even field level seating that would allow ticket holders to line the players as they walk from the locker room. But wait, isn’t the locker room in the other end zone? Not if these plans hold true. But before you get too excited or too mad, these are just renderings, just ideas, and they are just being sent to ticket holders for their feedback. 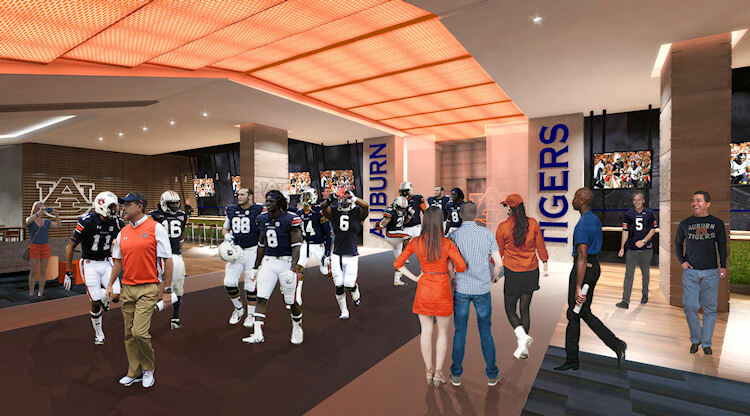 If enough people hate the prices and the designs, my guess is that Auburn will go back to the drawing board again. 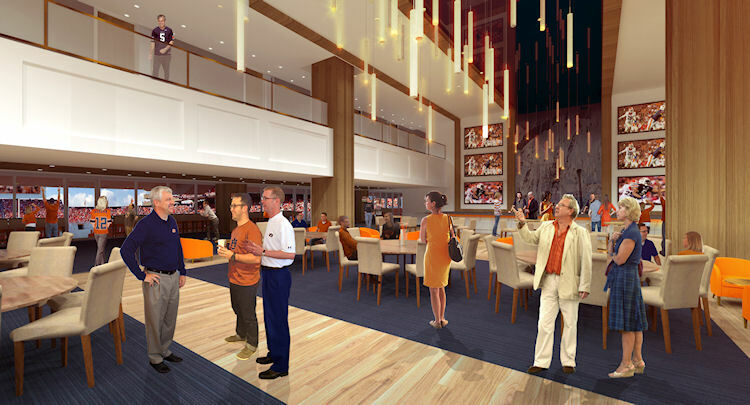 But enough of that, here are the renderings. 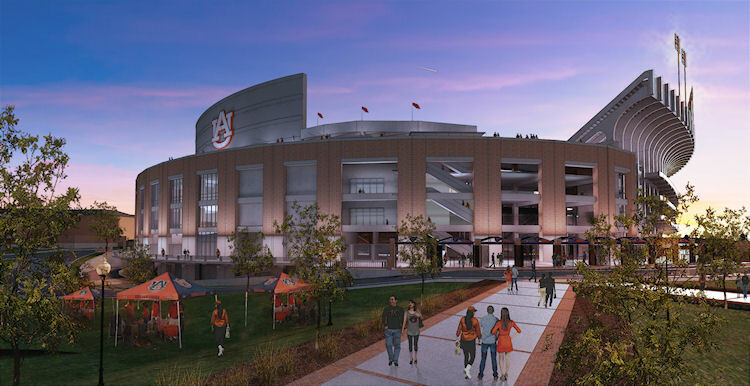 You have to admit, the exterior shot is awesome and exactly what that old North end zone needs. 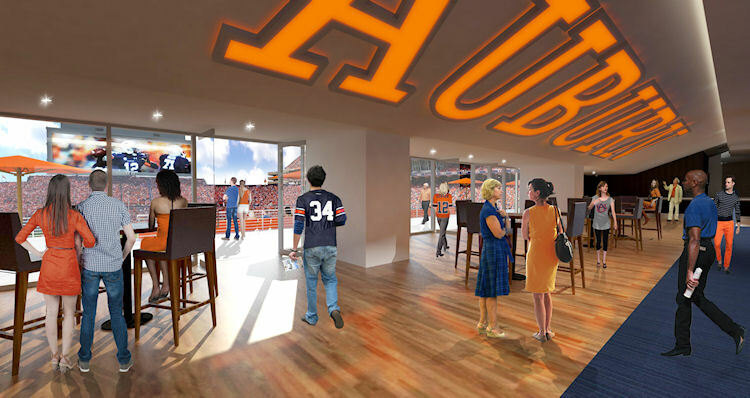 Update: Auburn has now reported on these renovations with more renderings. What do you think? Leave your thoughts in the comments section or over in The Barn. I actually love it. And it’s a great way to add seats without over doing it and using the space well! Love it! 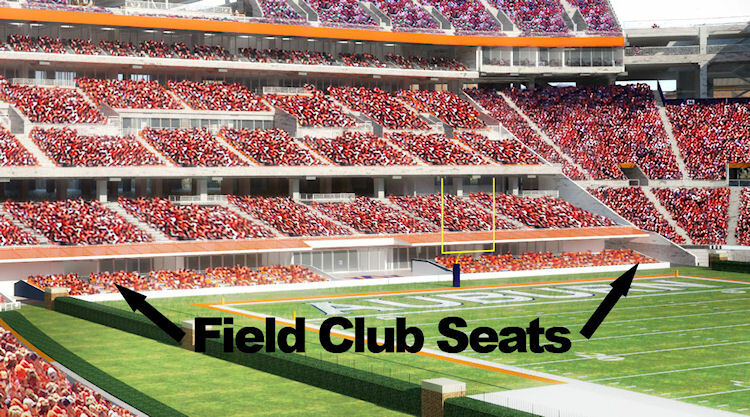 Would consider End Zone seats now after being on the 20 for 25 years….! Un-Retiring Terry Beasley’s # 88 is a part of the plan too?? 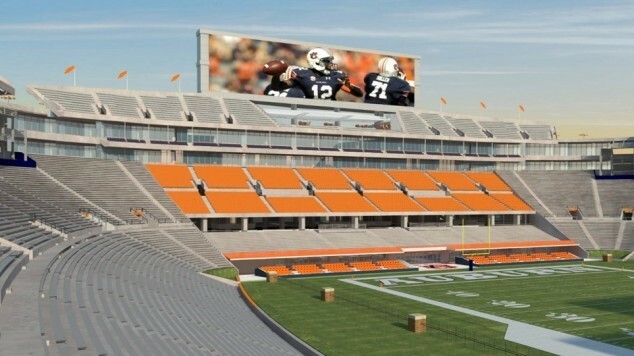 Would love to see this come as the new North End zone. Looks Big Time! Exactly! 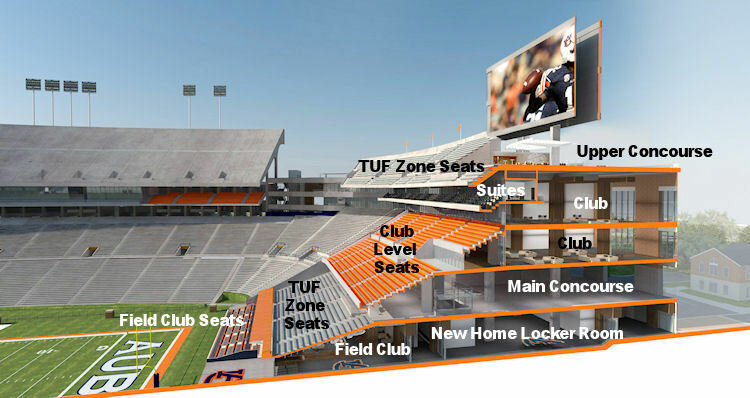 One option would be to expand the number of TUF seats into the Club Level seats for us long-time season ticket holders. We really don’t want to go to the upper deck. That much walking and climbing is becoming challenging. We have North Club Level seats. 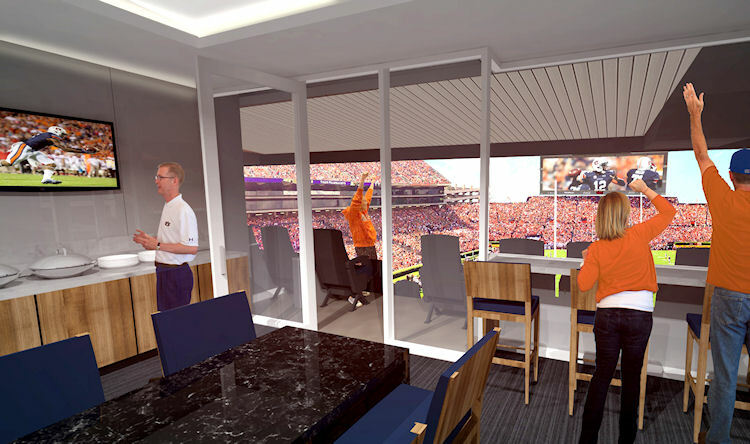 Would possibly only look at Suite Tickets.